Sebastian Bach announces Australian Tour – The Original Voice Of Skid Row! 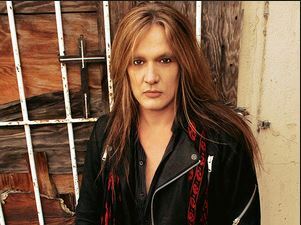 Hailed as the original voice of SKID ROW, the one and only SEBASTIAN BACH is returning to Australia and New Zealand on his “18 & Live” Tour in September 2015! Bach’s live shows are like a non-stop party filled with all the SKID ROW classics such as “Slave To The Grind”, “18 And Life”, “Monkey Business”, Youth Gone Wild”, “I Remember You” & a selection of his solo cuts like “Temptation”, “Kicking & Screaming”, “Falling Into You” plus much more. All killer, no filler! Bach’s live shows are a non-stop party filled with all the SKID ROW classics such as “Slave To The Grind”, “Monkey Business”, Youth Gone Wild”, “I Remember You” with a prime selection of his solo cuts like “Temptation”, “Kicking & Screaming”, “Falling Into You” plus a whole lot more. Not being one to do anything by half, Bach devotes 110% to give his all resulting in one hell of a show. Whether you’re a fan from the SKID ROW days or his solo material nowadays, Bach is ready to Give ‘Em Hell and leave you Kicking And Screaming for more! Bach is ready to Bring You Bach Alive and leave you Kicking And Screaming for more!